That teddybear and pendant with shell are very pretty. I wish I could make such a teddybear, however there´s no way it would look so good! what amazing things all the participants of the virtual craft fair have for sale in their shops! Love the teddy bear and the sea of glass is so beautiful. This is a really great craft show. Beautiful work by all. I'm running out of superlatives to describe all the talented artisans and their beautiful work in your Craft Fair. I'm also running out of $$ - I need to increase my holiday shopping budget stat. Another great days browsing and shopping ahead - you're doing a grand JoB here Lori! This fair is absolutely amazing. Such wonderful offers and giveaways. I'd really love to win. Back again for another chance. Shared on my FB page. This is no good, Lori! 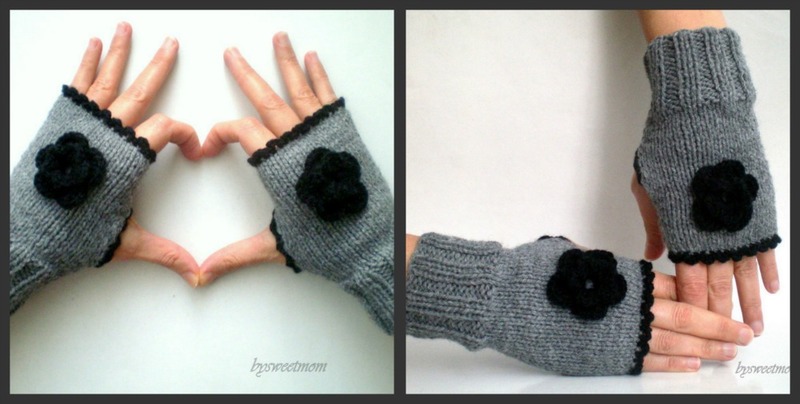 I'm wanting one of everything--including those darling fingerless gloves from "mysweetmom!" Heck, even the name of that shop makes me want to buy something! 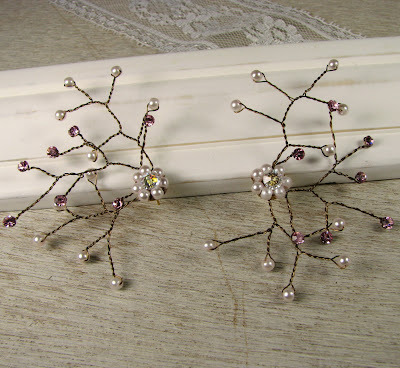 I love all the beads and jewellery and it's great to see some non-jewellerey related craft here as well. I love Sea of Glass!! So much talent in one place! Thanks so much for hosting this! Another great line up! Thanks for sharing Lori! I just tweeted too! Cheers, Rhea. I am getting lost in pretty things! Love the virtual craft fair! Such beautiful things from such talented people! More great shops! :) this was a great idea, Lori! Oh - I love the variety of vendors today! ; While I can't get enough of jewelry and beads, I love discovering all different kinds of artists. So far, I've blogged about this today and posted here. Yesterday, I posted twice on Facebook. I'm so impressed with what can be done with glass - would love to learn the art sometime! Posted on facebook about Day 4. Lori, I'm just blown away by all the talented artists out there. I fell in love with the teddy bear, and just kept falling all the way down the page! The pearl earrings, the blue/sand focal, the cool fingerless gloves....such a treat to get to see all this great work! Love Sea of Glass and the teddy of course. Visited the sites. Just blogged about the fourth day here:http://normasclay.blogspot.com/2011/11/day-4-of-virtual-craft-show.html. I believe that everyone, everywhere, should have a best bear friend. This day's offerings are incredible. Love the shell. Oh Oh Oh that teddy bear is amazing!!! I love that you have done this to introduce us to so many artists! I am now sleeping with my Iphone so I can wake up and see what is listed:-) Just blogged about the gloves and posted on FB and Twitter. You rock Lori for introducing us to so many talented artists. Beautiful Work again! What generous prizes! Good Luck to all! Still blogging about this great sale~! I can't believe the depth of the talent!!! NICE! I love the diversity of the craft and accessory mix! Again, what an awesome collection of artists and their craft. What an elegant mix today - and I love the fingerless gloves. So cool! This show started with a smile - lovely and beautiful with lots of eye- and ear☺catching goodies. Another Virtually beautiful show! I'm delighted and honored to be among such talent on Day 4. Thanks Lori, and to all who have commented on my Seabreeze bead. Back again...I Facebook'd and blogged about the show! Oh My Lori What can the matter be? We do have is just too much talent out there. I have been to all of the booths today. Wow that bear is so cute and those gloves,....love 'em! What a super lineup of artisans! Cool giveaways as well. Thanks for the opportunity to win. Every day is better and better. Those pearl earrings are so elegant! Wow! Another list of amazing artists! Again, this is so much fun to look through. Once again a great group of artist. Just love those fingerless gloves! FB and Blog will be putting the word out on your Virtual Craft Show. all of these are wonderful,great show today. Love the bear! Nice mix of media today, too. I am really so honoured being among these talented artist and so exited cause this is my first day thank you so much Lori:))I am soo glad that you love my handmade gloves:)) many thanks for your kind comments! Everything is wonderful but I love the bear and the gloves. Maybe the cold weather has me thinking warm, fuzzy, and cuddly! I am so pleased and proud to be included in this awesome show! Also, quick note. I don't mean to self-promote, but there's a problem with my blogger. I lost followers and blog listings in batches last night. I've reported to Google, but if you were with me and now aren't, please come back! Thanks much & sorry for the trouble! Another awesome group! I've posted on my wall(s) and will update my blog in a bit. I'm thinking those handwarmers look great even for Arizona! What wonderful things I see today! Some could make some nice Christmas presents! ~Wow~ another gorgeous day at the fair!! I love the pendant with the shell/matching earrings plus the fingerless gloves. 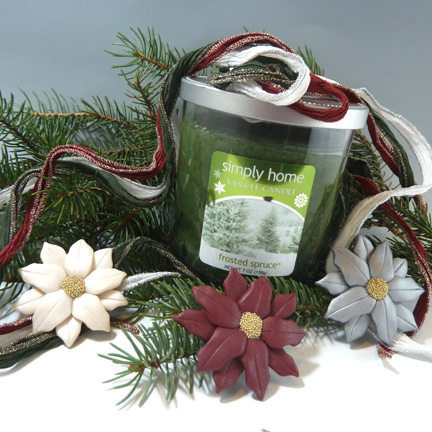 I did not post on FB yesterday - but will be posting about the Virtual Craft Fair today. 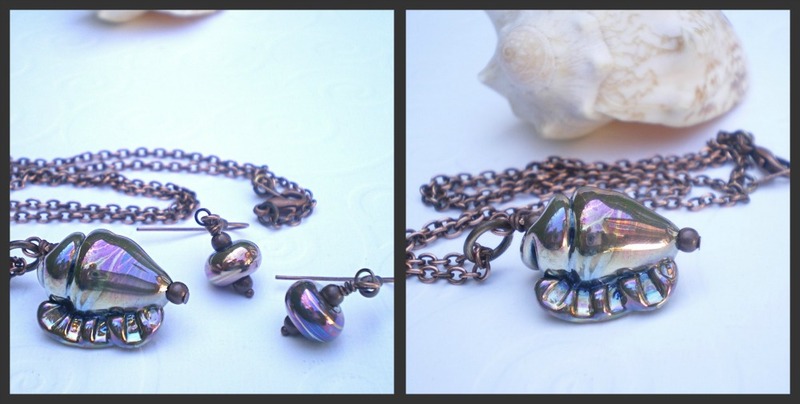 It's another stunning array of items, and I have to say I really love Loretta Carstenson's Triple Island necklace, gorgeous colours! Wow...there are some amazing and crazy talented artists. 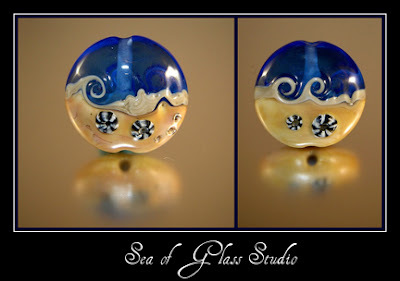 My most favorite work is Sea of Glass....absolutely stunning. More gorgeous pieces - loving the cute gloves, too!! So much fun! So many pretties. More beautiful things... I am in heaven! Oh how I want hat teddy. I collect teddy bears and he is amazing. Wow! Wonderful pieces today. Off to share! Let's see if it will let me post this time. I am loving all the crafty goodness. How CUTE is that teddybear! There are so many lovely things... the virtual craft fair is amazing! Thanks again for hosting this sale. I have enjoyed viewing the sites I have managed to get to and hope to visit them all by Thursday. I intend to list by wish list here by Thursday to remind myself what I want to purchase. Yeah! my turn....thanks, Lori! so many more cool things here to see, each day I find more wonderful artists work to go see! All I can say about these incredible works of art is that they encourage me to work harder on my jewelry. Being encouraged is not the same as succeeding, but it sure is fun trying! A big thank you to all the artists here for being so generous with their time and artwork. Oh goodness. I missed this post yesterday. How could that be?!!! Love the teddy! Off to catch up on Facebook! OOOOH, the teddy bear is incredible! Amazing artists on day 4. Thank you again Lori for putting together this wonderful fair. YOU ROCK! Each work is lovely! But I'd really REALLY love to win that little teddy bear! A virtual fair is a great idea. Another fantastic day of eye candy. Good luck with the tour. HOW FUN IS THIS? You are a genius, Miss Lori...a genius of the blog hop genre! I can't decide what I like best, and what is better....how many people have participated! I am over here banging my head for not having paid enough attention....would have loved to have contributed! XOXO for a job well done and a TON of hard work! Totally digging that sweet teddy! I used to have quite a collection. I would put him on the shelf of my studio. Oh, and I blogged about the show the other day! I am spending alot of time at Etsy lately. Today I am in love with the teddy bear. So many stunning things each day to view. 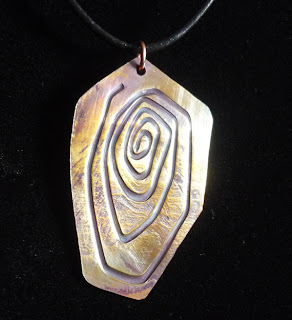 I loved the pendant that looks like a shell and the handmade bear. Such talented people. Thanks for hosting such a nice event. Too cool! Love your craft fair! The gloves are gorgeous! Beautiful, just beautiful! I love it all!! Oh, I love those gloves and the teddy bear is sooo cute! That bear is to die for! Oh! I neeeeeeeeed those gloves! My office is freezing. What a great idea, and so pretty! Its all GREAT! That teddybear is totally impressive! what a variety! from teddy bear, to beads & jewelry, to fingerless gloves - LOVE it! I love all the beautiful items on the Virtual Craftfair! Such talent! 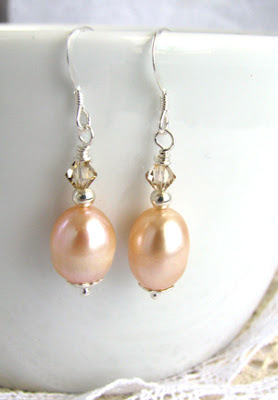 I'd love to be in the giveway for Mary Williams earrings. 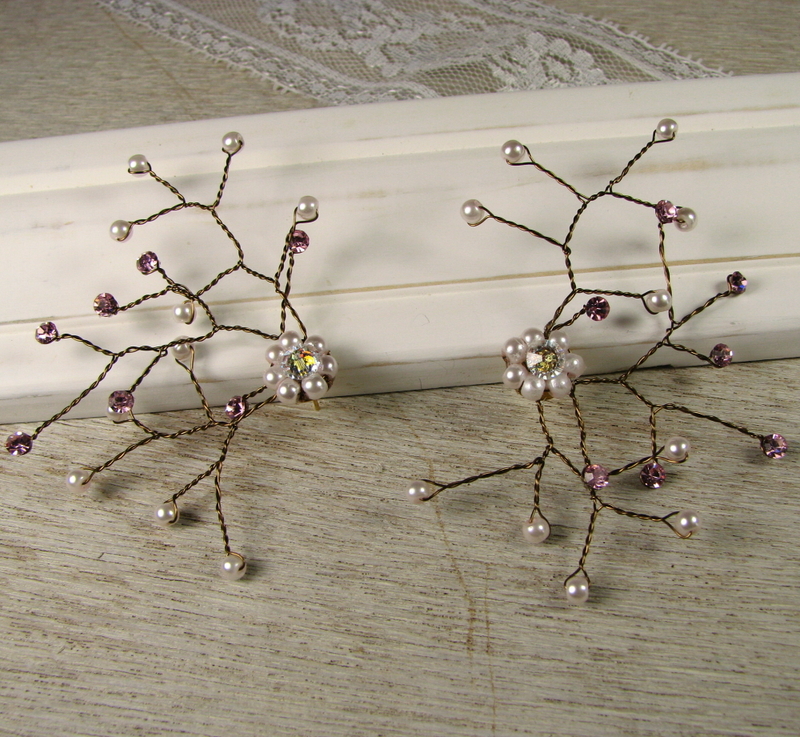 I've posted on my facebook page a your link so others will enjoy the opportunity to shop and buy many pretties too. I LOVE everything on here. Whoooo knew I could fall in love with a little blue owl! The things in these displays are wonderful! another wonderful collection. i love the mix of crafts - it makes for quite the fair. thank you again Lori. 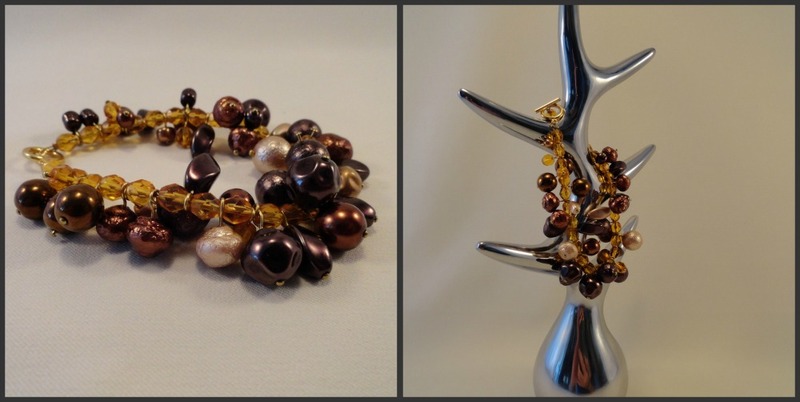 The seabreeze bead is fantastic. That Teddy and those gloves challenge me. I wish I knew how to make them! 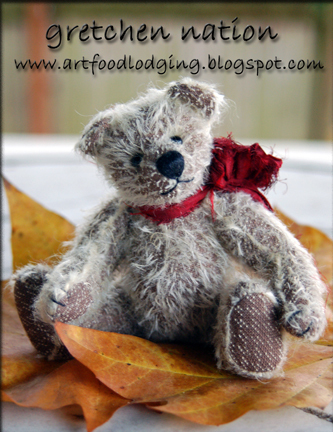 although i love handmade jewelry, the little teddy bear stole my heart! adorable! i tweeted about this giveaway. i want to win this teddy bear! love this, what a wonderful idea!!! Everyone has such great ideas and everything is so beautiful! I love the teddybear :) he's so cute! love the mill-rolled pendant...totally my dream to have a mill roller!